The supari (betel nut or areca nut) used in Hindu puja is not the regular type. It is different. 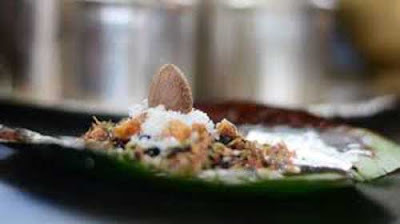 The supari used to eat along with paan is not used for puja. The one used to eat is big and shape of it is round. The supari that is used in puja is small and it has a conical shape (Shikhar) – like a small hill. As per Vastu Shastra, the small conical shaped supari should be used. This kind of betel nut (areca nut) has the capacity to attract positive energy. There will be peace and happiness in the family that keeps this kind of areca nut. The supari should be kept in the northeast corner of the house in a silver vessel. As this supari symbolically represents Ganesha, puja should be offered to it with diya and dhoop daily. Keeping supari in the middle of Sri Yantra wrapped in a red color cloth helps in overcoming all kinds of financial difficulties. The supari should be offered kumkum, haldi and uncooked rice while offering puja. It should be kept on red, yellow or blue color cloth.